This glass box is a gift they'll reach for over and over again. Our charming box holds everything from office supplies to treasured collectibles making it a beautiful addition to both home and office. 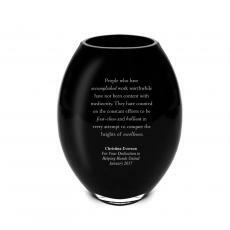 The lid provides space to add the recipient's personalization alongside our inspiring message. Gift boxed.